Prior to 1901 this area was undeveloped, except for through lines of the New York Central, Pennsylvania and Elgin, Joliet & Eastern. 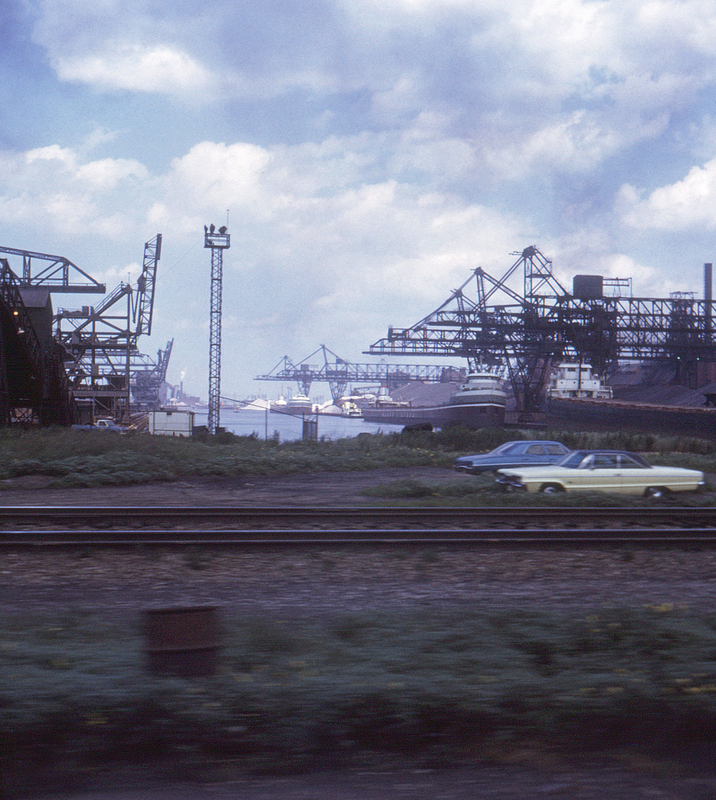 At that time Inland Steel began contruction of the huge steel plant and associated harbor and canal which eventually became one of the largest in the world. In this view from Amtrak's no-name New York-Chicago train no. 69 on the former New York Central mainline, tracks of the Elgin, Joliet & Eastern are visible in the foreground. This page posted 6/1/2018; revised 11/1/2018. Text and photo ©2018 Lamont Downs.